Rider ha mejorado enormemente nuestras operaciones comerciales de muchas maneras. Al utilizar Rider, tenemos una mejor comunicación entre los equipos, un mayor tiempo de respuesta y una organización óptima de la planificación de la gestión de tareas. Rider no tiene muchos aspectos desfavorables, pero la característica que menos se utiliza en mi empresa es la función de biblioteca; pero esto no quiere decir que el alojamiento de información de fondo y recursos relevantes no sea fácil de usar y beneficioso en Rider. Rider es una herramienta de software de TI muy fácil de usar y eficiente. Mi compañía ha incrementado enormemente nuestras operaciones comerciales de muchas maneras gracias a Rider, y yo recomendaría esta herramienta para compañías de una variedad de industrias. Hemos mejorado considerablemente la forma en que llevamos a cabo los proyectos de principio a fin, la forma en que se priorizan las diferentes tareas y elementos, y la forma en que se produce la comunicación entre los distintos equipos y departamentos. Tenemos súper usuarios del software y luego usuarios de nivel inferior que son capaces de realizar funciones básicas. "Not yet completely production ready"
All the good things from resharper but much faster to use. The build in git client is super easy to use. The IDE does sometime seem to lose sync with the code on the disk. It also seem to have a problem with loading projects now and then. I haven't had any sync problems for the last couple of weeks, so It is getting better but there is still room for improvement before I can fully recommend it for use in production. Also there are not that many extensions yet unfortunately. One of the big ones that are missing is a dictionary. I would suggest you to try it out and see if you have the same problems as I have had with regard to syncing. As I wrote I haven't experienced any problems the last couple of weeks so it might be fixed. The only thing holding me back from a full endorsement is the amount of extensions. I am sure it will grow so I expect to be able to fully endorse Rider withing the next year. What .NET Integrated Development Environment (IDE) solution do you use? "Rider is a solid business efficiency software"
Rider has vastly improved our business operations in many ways. By using Rider, we have better communication amongst teams, increased turnaround time, and optimal organization of planning task management. Rider does not have many unfavorable aspects, but the feature that is utilized the least at my company is library function; but this is not to say that the housing of background information and relevant resources is not user-friendly and beneficial in Rider. Rider is a very user-friendly and efficient IT software tool. My company has tremendously increased our business operations in many ways thanks to Rider, and I would recommend this tool for companies across a variety of industries. We have greatly improved the way we conduct projects from start to finish, how different tasks and items are prioritized, and how communication occurs across various teams and departments. We have super users of the software and then lower level users that are able to perform basic functions. "Delightful to use in Mac"
Rider behaves like a pro in Mac without anything to miss from Visual Studio, indeed, several functions from Resharper are integrated and makes a better experience than VS for Mac or VS Code. I've compared the debugging experience comparing VS for Mac, VS Code and Rider, and Rider gaves me the best option. Unit testing is easy to use. Rider is by far the best tool in MAC, even if you compare it with VS for Mac, because you will not miss the great experience you enjoy on Visual Studio in Windows and adding the great feeling of Resharper. I develop ASP.NET Core and REST Services in RIder in a daily basis, so it is my first option in Mac. Also a note of REST Client directly integrated in the IDE makes Rider the only tool I need for my development tasks. "Rider: A flexible and powerful ID"
I develop websites and I think Ride is an elegant IDE very easy to install and configure, flexible and very customizable. You can download it directly from the official site without providing your personal information. I use macOs saws and could install it very easily. Ride allows you to integrate your project with version drivers such as GIT, Mercurial, among others. When you start Ride after the installation, a wizard will guide you through the basic configuration, where you can choose the skin of the working environment, as well as the colonization of the code. Ride is optimized for development in a.NET environment. It has a project and package manager that allows you to develop an excellent workflow. Rides is very fast, really amazing, when compared to other programs that do the same, like the Visual Studio Suit. Existen versiones alternativas a Ride totalmente gratis, como Visual Studio Code , ante esto uno pede pensar en usar una herramienta gratis, pero Ride tiene mucho que ofrecer aunque para muchos pueda ser difícil de pagar. One of the things you will notice after installing Ride is that additional dependencies must be installed to manage or create new projects. Ride provides remarkable performance, and can become a favorite development tool for many programmers. Its high performance guarantees an exceptional workflow, with multiple features and highly customizable, in short, a development tool that can take much of the market. Cool design and IDE style. Good usage or syntax suggestions. Similar environment with any other IDEA products like Intellij and PyCharm. Still using the same framework and structures of Visual Studio. Could use this and compare to Visual Studio. Choose Rider or Visual Studio for .net related C# development depending on personal habits. Both have strengths and weaknesses. Recommend beginners who didn't use Visual Studio for development before to use Rider directly first. Very limited external plugins. Compared to visual studio. It would really benefit from an AWS toolkit. (This is really my main gripe as an avid AWS User, if this was available, I wouldn't shut up about how great Rider is) Up until 2017.3 it didn't have great support for .net core / .net standard projects. I'd whole heatedly recommend switching to rider. Increased productivity when carrying out refactors. 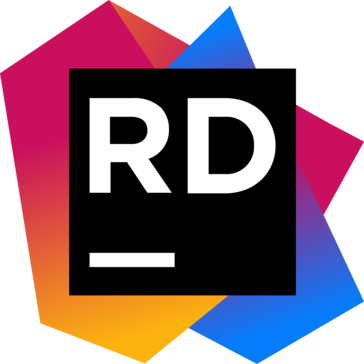 "Best tool to edit unity C# scripts "
"JetBrains creates great tools, I hope some day Rider would replace Visual Studio"
"A great way to write .NET code on the Mac"
Very convenient .NET IDE with a lot of great plug-ins and a high level of customization. By far the most powerful solution for writing .NET Core Apps for the Mac. Workspace can become a bit messy using a lot of the built-in features or plug-ins. Also getting the initial set-up of the App and Frameworks done can be a bit of a hassle. I've been looking for a good Mac .NET IDE that can compete with the experience of Visual Studio on Windows. Rider has been a perfect alternative for that. "Solid solution, but not the best for me"
I was using it for .NET core application. The best thing that I experienced was debugging. Surprisingly I would say they have the best debugger I've used so far. It has intelligent suggestions while debugging. The most significant thing for me that editor or ide must have is performance. Although Rider is pretty quick in comparison with other IDEs like Visual Studio or even web storm, it still had to "think" too long sometimes. If you're used to IDEs performance overall, I would definitely recommend give Rider a try. If you're more Sublime/VS code or even VIM user, you wouldn't be as much excited. Development is my job. As mentioned earlier, debugging was really great! The best part about this .NET IDE is the cross-platform availability Windows, Mac, Linux. This IDE really help me to keep on my projects on any OS. Also, this IDE is extremely fast compared to other products you can find on the market. Since this is a new IDE, there is a couple of things they need to fix. You will surely come across a couple of errors. With this product, we are now able to develop on any OS we want. Rider brings you a wide range of different functionalities that are really useful in Unity, ASP .NET and other Microsoft frameworks. When starting the program, sometimes, it takes too much to start. The git build is really nice, really well done. Makes my job much easier. Makes me work faster and eliminates mistakes. Being able to work across platforms is really nice too! Just the different functionalities across the board are much appreciated. Can't do too much externally with plugins and the like. A lot of project management tools aren't supported either. "Great complete IDE with lots of framework and tool integrations"
The interface is very clear and easy to navigate and it integrates a lot of frameworks and everyday tools that make your life as a programmer easier. Very heavy on the CPU. It can be a problem when working on an old or budget computer. Software development. It saves a lot of time to have frameworks, tools and code inspection integrated. It was an inexpensive and efficient program for the company to use. I also like you can preview pre-release builds. I think the program can expand into more than what it is now. The automatic routine checks help speed up production, allowing the developing team to use their time more efficiently. I like the UI and flexibility of the features. I also like training mode of the software. This lets me develop a wide array of applications specially ASP.NET Core web applications. As a web developer, I can conveniently use.NET libraries. I would suggest more UX features and quality. I also suggest for multiple programming language options. Yes, I would like to recommend to get business efficiency and development convenience. "Rider is good for C# productivity"
Quick refactoring of code blocks by smart hint. "Very good alternative to VS"
Besides from the user interface, another great thing about Rider is its db integration which is incredible easy to use. No major flaws, however the VS debugger is slightly better than Rider's so there is something that can be improvement. "Great alternative to Visual Studio"
Asides from the UI, the best thing about Rider is its database integration which is very straight forward to use. Not really a flaw, but when you compare it to the debugger of VS there is room for improvement. The main problem Rider has solved is being to use a C# IDE in Linux in our organisation. Rider is an impeccable piece of software that has helped with numerous business deals and with efficiency. Rider still has some glitches that need to be worked out, such as slow loading and processing, and sometimes a lack of algorithmic reading. My business and I are solving money issues and heightening profit using rider. I don’t have a dislike about rider. Sometimes it runs slow but that could likely be my computer so I don’t put that on the software! Version control integration with an IDE! Awesome! It's great to have an IDE that integrates with both Unity and version control. "Unsure of longterm, improvements needed "
It is fairly straightforward and easy to use. It brings a lot of similar pros from resharper but on a better platform. I've had some issues loading programs but only occasionally. Overall not bad. Far more efficient ways to write code and faster turnaround than other software. I like that it’s easy to understand how to use and you can use it efficiently! * We monitor all Rider reviews to prevent fraudulent reviews and keep review quality high. We do not post reviews by company employees or direct competitors. Validated reviews require the user to submit a screenshot of the product containing their user ID, in order to verify a user is an actual user of the product. Hi there! Are you looking to implement a solution like Rider?